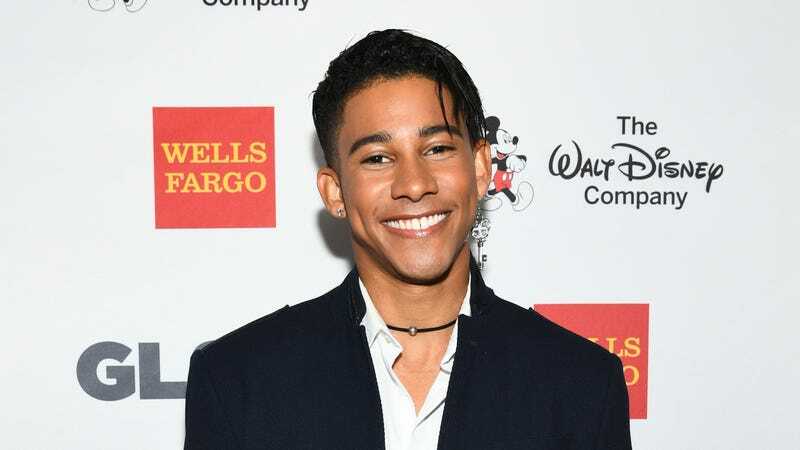 Keiynan Lonsdale’s Kid Flash has always been tragically underused on The Flash, save for a few times when Grant Gustin’s Barry Allen was too busy screwing up the timeline to do regular superhero action, so it seemed like the perfect solution when he finally popped up on DC’s Legends Of Tomorrow for its most recent season. Kid Flash was often unnecessary on The Flash because The Flash was already the fastest man alive, but on Legends he was a big, super-fast fish in a lovably small pond who fit in with that team’s goofballs and played a crucial role in fighting the season’s monstrous villain. Unfortunately, it looks like Kid Flash won’t be heading back to The Flash or sticking around on Legends Of Tomorrow. According to Deadline, Lonsdale won’t be a series regular on either show next season, meaning—unless he becomes a major character on Arrow for some reason—he won’t be doing much running around in the Kid Flash costume. That doesn’t necessarily mean the character will be killed off or written out of the CW superhero universe in a permanent way, just that viewers will be seeing less of him from now. Deadline does note, for example, that Lonsdale will be in the premiere of The Flash’s fifth season. Perhaps the problem is that Legends Of Tomorrow is simply getting too crowded, as Matt Ryan’s John Constantine and Jes Macallan’s Time Bureau Agent Ava Sharpe will be series regular on Legends in season four.